When it comes to food, we Malaysians are a proud lot. I mean, say what you will about the country, but insult any of our dishes and be prepared to incur the wrath of millions (like the recent Rendang-ate fiasco). Now, if only we had the same drive and zeal to battle corruption lol. 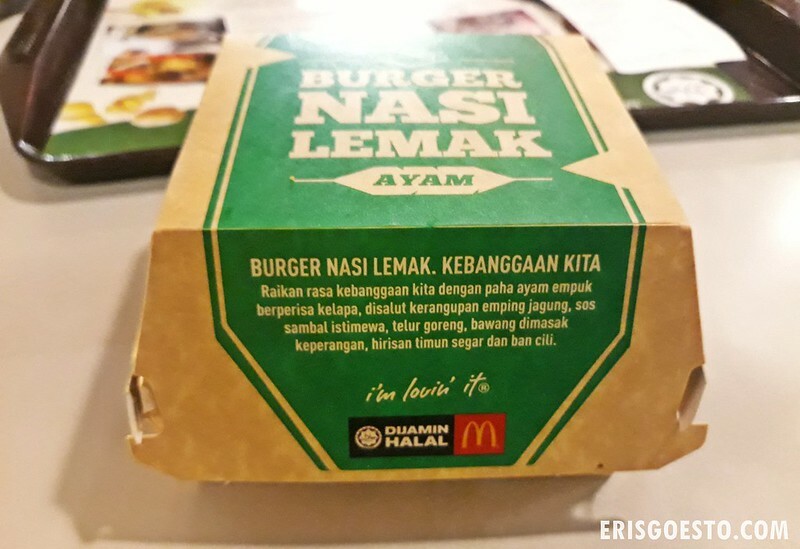 It’s a little ironic ,then, that it was our close neighbours across the Causeway that came up with the idea of putting together the flavours of Nasi Lemak – a dish ubiquitous with Malaysia – into a burger. 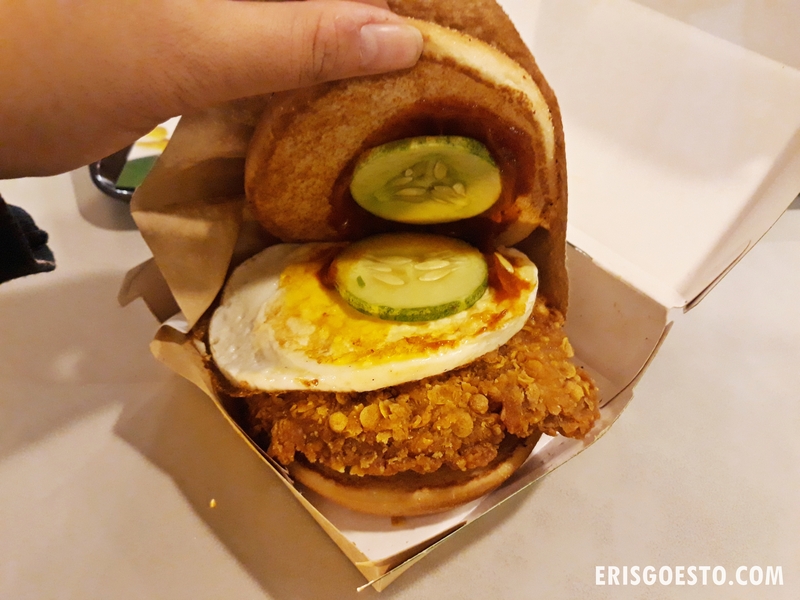 Well, the saying goes ‘better late then never’, and McDonalds Malaysia has finally jumped on the bandwagon with their very own version. Curiousity piqued, I dropped by after work at the Bandar Puteri outlet. They made me wait over 20 minutes because they were cooking a fresh batch, but WAS IT WORTH IT? 20 mins aint fast food bruh. But let’s focus on the food. Packaging featured a dark green colour scheme, reminiscent of the traditional banana leaves that nasi lemak used to be wrapped in. Burger. Fairly large. Kudos to McD for not using false advertising where the food is like 1/3 the size it appears in ads. I’m looking at you, KFC. 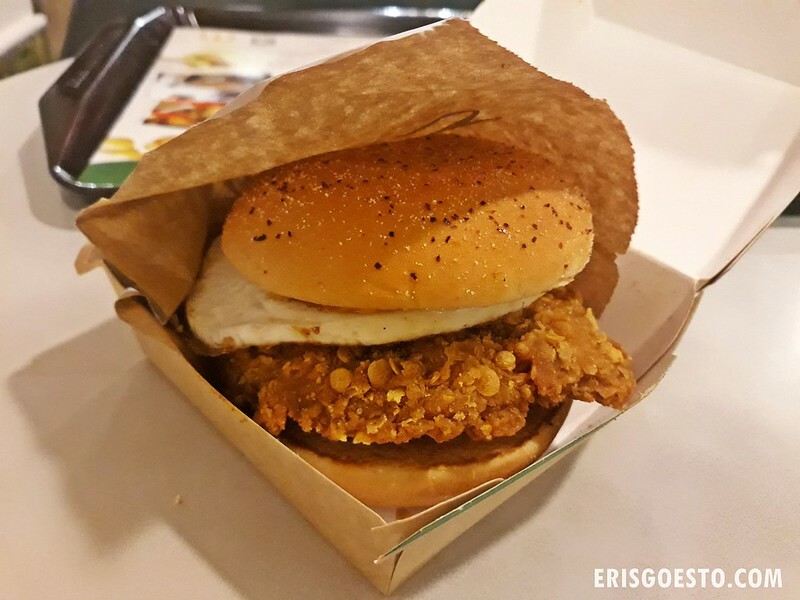 Fried egg, cucumber slices, and sweet and spicy sambal is layered on a thick, cornflake-coated patty infused with santan (coconut milk), then sandwiched between two fluffy buns. Verdict: The patty was obviously the star, with a nice hint of coconut milk. Cooked well, with a crispy and crunchy coating complementing tender, juicy meat on the inside. The cucumbers were a little hard (hard, not crisp. ), but overall it was a satisfying burger that captured the essence of nasi lemak pretty well! If you’re looking for a spicy kick though, this has zero. I would rate it a 2/10 on the spicy scale. I would also have liked a bit more sambal in the burger. At RM14.95 for the ala carte, I’d say it isn’t too expensive to get the burger if you’re really curious. Is it tasty? Yes, as far as fast food burgers go. Would I wait for half an hour just to get it? Probably not. PS: I noticed in some other reviews that the burger has caramelised onions. Not sure why mine didn’t, but.. yeah. Did you try it out with the Bandung McFizz? Excellent review! I tried my first one a few days ago and really enjoyed it (mine had the caramelized onions). Malaysia’s food scene blew my mind. I’m getting hungry just thinking about it. Sounds much fancier than anything you get at McDonalds in the United States!